Ballerinas are beautiful to watch as we gaze at their elegant posture, as they dance their dance of grace and fairy tales. Good posture elongates the spine, enables us to breathe easier and take in more oxygen and enhances our appearance. 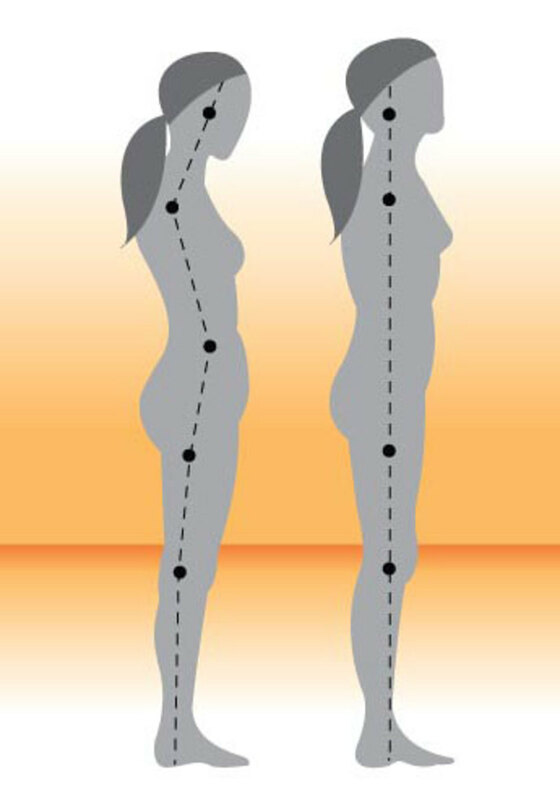 Whether standing or sitting, good posture distributes the force of gravity throughout the body in order that no one part of the body is overstressed. When I was a young girl, I was a tomboy. My body was boy-like and I was tall and slender (as I still am). My mom enrolled me in dance classes and tumbling and gymnastics. They must have sent a subliminal message to my brain in regard to my posture, because I've always been very aware of my body placement. 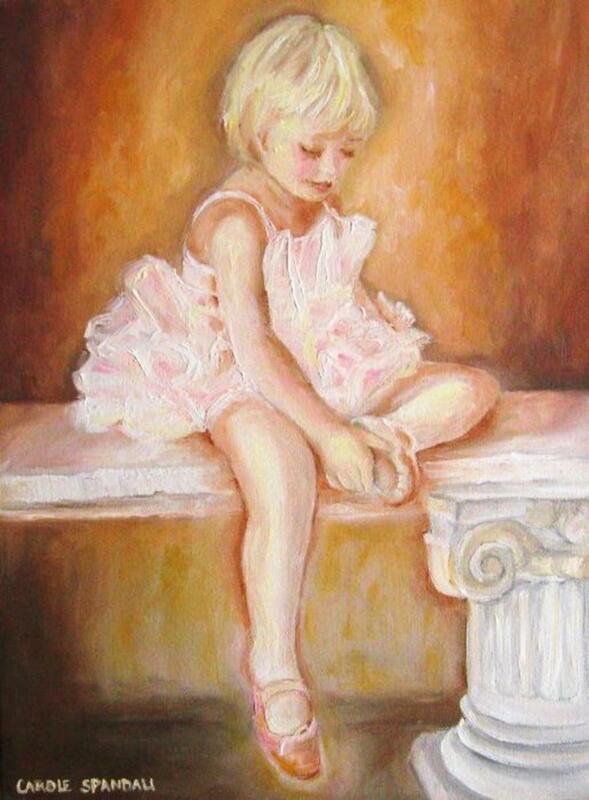 I wasn't the most graceful little ballerina, but I did enjoy the magic of pink slippers and Dance of the Sugarplums. The body should have a slight S-curve along the spine. How does it look? While standing straight, imagine an invisible puppet string holding you in place. Feet are flat, the back is straight and the head is properly aligned over the body, not pushed forward. The spine should have a slight S curve. Check your posture right now. How does it feel? Is your body tight, tensed? Relax. Where are your shoulders? They should be held back with your chest forward, a natural feel, not exaggerated. How does your abdomen feel? Pull it in and you automatically straighten your torso. 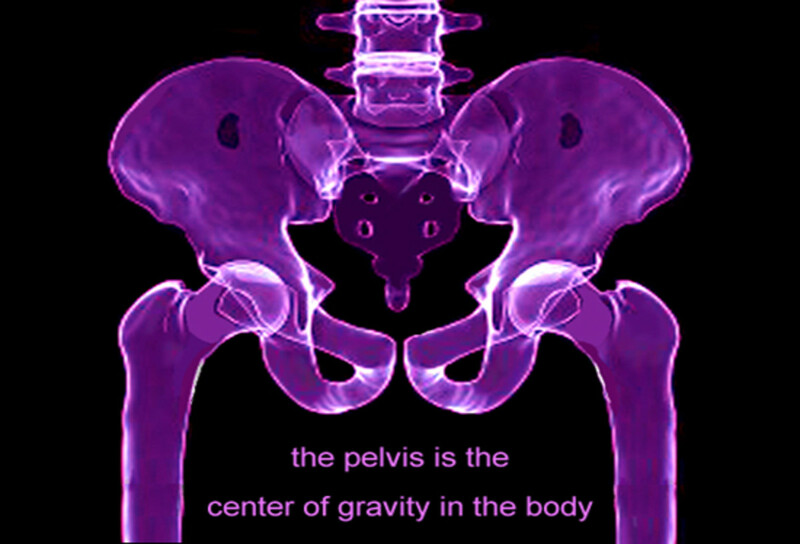 The key to good posture is body awareness and a strong core, your mid section. It's really rather pleasurable to become more aware throughout the day of your body's alignment because it instantly feels better if you catch yourself slouching and 'fix' yourself. Good posture does not feel rigid or tense, it feels good. If you're tight, simply relax that area. It's all about body/mind awareness, being in tune with our whole self and not just our thoughts. I find myself 'fixing' myself without conscious effort now, but it takes time to train yourself, and ideally the best time to learn it is as a young child. Even as an adult you can make a game of it, perhaps call it, how is my posture NOW? The neck has a lot of work to do. We abuse our poor necks probably more than any other body part. Try to keep the head over your shoulders, not pushed forward (as in above diagram) or bent to the side. Having been in the classroom for 14 years working with young children, my neck has been overly stressed. There are so many times when a teacher must look down. I found myself squatting down to be on their level helped, but that also requires being aware of proper body alignment. It helps to do gentle neck rotations periodically throughout the day or simple neck exercises as seen in the video. When we're sitting, we focus on what's in front of us. If we push our neck forward, our body follows and we're no longer balanced. It increases muscle fatigue and stretches the spinal ligaments, which can lead to back and neck pain. Sitting at a desk is another area where ergonomics is important to know. As much as possible, have the reading material held away from you, preferably at eye level if possible. If writing or working on a keyboard, try to keep the head over the upper body even if you have to lean forward for a small period of time. Always keep your back straight even if leaning forward. A great investment if you do a lot of sitting at a desk is an ergonomic chair. If not currently in the budget, place a small pillow or rolled-up towel at the small of your back. It helps a lot. When I first became pregnant, I bought the classic book about natural childbirth, Childbirth Without Fear. Little did I know how much it would change my life. I followed it like it was my lifeline. It contains a section about exercises which can be done during the pregnancy and specific exercises to prepare the body for labor. I did them. And guess what? They helped so much that even the doctor said he had never witnessed a more peaceful labor and birth. (Well, I did feel some pain, but I guess my body was fit and ready.) We had peaceful music playing also which helped me remain relatively calm. The woman's body shape will affect both pregnancy, labor and birth. "The position of the baby is influenced by the shape of the woman's abdomen, back and pelvis and the postural tensions in these areas." (Families SouthWest) The fitter the woman is and the stronger her core muscles are will influence and often determine the ease or difficulties of pregnancy, labor and birth. Strengthening abs during pregnancy helps to tone the woman's body to keep it strong during the entire pregnancy enabling an easier labor and delivery. It requires strong muscles to push the baby through the birth canal. So, our mothers and grandmothers knew what they were talking about when they told us to sit up and stand tall, pull your shoulders back. If you're a mother, maybe you have said the same thing. We need to keep saying it and help our children (and ourselves) understand why it's important. There are wonderful, healthful benefits to maintaining good posture, not only for our body, but for our whole self. Good posture is something we can all be more aware of throughout our lives and there are many great fitness/exercise programs that help with our posture. Yoga and Pilates are both fantastic ways to help with body/mind awareness and posture. Walking and stretching give opportunities to be in tune with our bodies and perfect our posture. Pull those shoulders back, put your head up and walk tall. Posture yourself for success! Great posts. You all know why posture is so important. Girls, women look great with good posture. I have for years struggled with bad posture. I think at this late stage in my life, I've got it correct. Lengthen the spine, walk with grace and poise. See backinsight.com. workoutdvd, yes, you're very right. 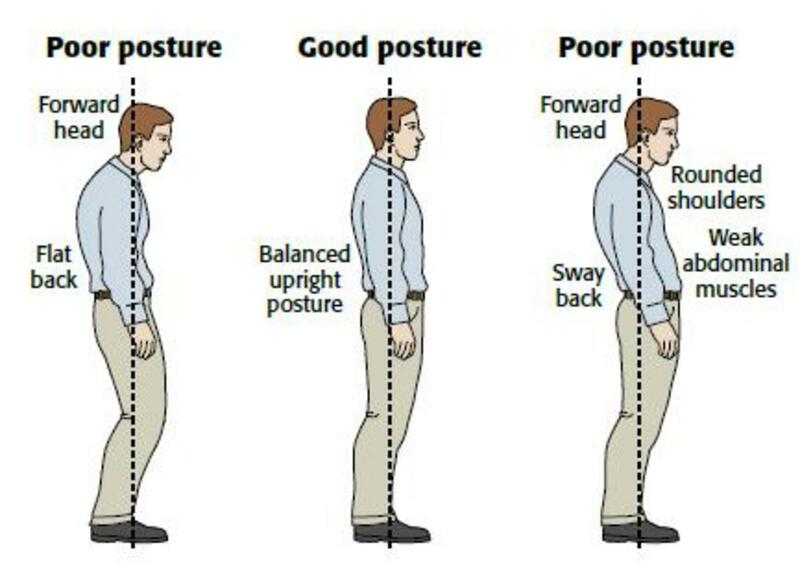 Good posture is very important for men also. For some reason, it seems men slouch even more than women, I wonder why. I concentrated on women with this hub, as it was part of a HubMob written on women's health. Thanks for reading and leaving your comment. I stumbled upon this hub from my twitter account and found it to be a top read. I think this is a must read for all women to know about the advantages of good posture. Voted up and useful! Thanks spotlight. I'm glad you found it helpful. Being a dancer, I'm sure you'll find posture is part of what makes moves easier and more graceful. Dance on! Interesting article on good posture. This information will really help me in the future since I do modern dance and I also want to learn ballet. thanks for reading and commenting. I've also been reading about chakras, our energy centers, and how posture plays a huge part with the energy flow in our bodies. it's especially important while sitting to keep our feet flat on the floor and our head erect, not pushed forward. our alignment, whether sitting, standing or lying down is important with how we feel and whether our energies are flowing or blocked. I love reading everyone's comments. thanks so much. wow! What can I say RebekaELLE. After reading through this wonderful hub, I just took a deep breath and concluded "Simply awesome". Useful information for every woman. I can add that active lifestyle also helps to avoid various posture related problems. Hey Rebekah your hub is very amazing,enjoyed reading this hub. Cooool!!! thanks everyone for the great comments! I'm glad to see so many interested in proper posture. It's an instant 'feel better' perk. look around the next time you're out and about or in the company office. who is noticed more? who would you trust more easily? I think the person who is confident and easier to approach holds themselves upright and open, not stiff and upright or with their shoulders down and head down. mixfitness, what a great point about piano lessons! I also took piano lessons when young, and that was rule number 1, feet flat on the floor and sitting up, back straight! thanks for commenting! I took piano lessons for years when I was young and that has made me very aware about my posture. Like you, I can feel if I'm sitting poorly and correct it without really having to think about it. Great hub! I have always been a firm believer in a good posture. You made excellent points. Thank you! Excellent hub,bookmarked and thumbs up. Nice hub - I couldn't agree more! Posture is SO important in the way we look and feel, yet a lot of people ignore it or are unaware of their poor posture (and how much damage it's doing to their body). I consider posture to be the first step in fitness....posture, posture, posture! Very useful Hub, and very relevant as most of us will be reading it sat in front of a computer with heads slumped forward! Brilliant hub, I'm going to be much more aware of my posture from now on.... great! hey barry, yes it is, absolutely. I chose this particular topic for women while in the health contest and the day's topic was women's health. but yes, it is equally important for men in that it affects your entire body, your appearance, your attitude and helps to protect our vital organs! thanks for sharing, nice to see you. important for men too ! sandra, I included the link to the source about pregnancies. hi sandra, I will go back into my notes while writing the hub and find the source for that. when I read it, it made so much sense. webmd.com also has info about posture and pregancy. the book childbirth without fear is also a great book about pregnancy. it's kind of old fashioned, but the exercises and prep work for the birth is very helpful. I'll get back to you. thanks frogy and lilly for reading and leaving a comment. Good tips here. I was advised to do the neck thing, but now will do it more as stated - it does help relax the muscles. Reply from DaisyChain - We are in the Limousin, south-west France, running a B&B and self-catering holiday cottage - guests welcome! thanks alexandria, it's nice to start being more aware of our posture and you will find yourself thinking about it more once it's introduced as a recent 'topic' in your brain. glad to hear the job posting helped! and thanks for your comments! Hi, stayed up 'til midnight writing my hub on women's health - but I must admit, yours is much better. I read it, albeit grudgingly, and immediately sorted out the position of my computer screen and it is much better. So many thanks and congratulations Rebekah! Hi Dr. Cherie, nice to see you. my mom and my dad would remind me to sit up straight, walk tall (as I was taller than most of my friends)and especially at the table we couldn't slouch. that's interesting about protecting the heart. I think it's so amazing how all of the body works together. thanks for adding your comments, always appreciate your input! My mother raised me knowing the importance of good posture. Weird how my daughter does not have good posture. I believe it has to do with "protecting the heart." Whatever the reason, it is difficult at best to readjust, so MOM's, teach your children while they're young. Hi Rebekahelle, thank you for this hub! yoga is nice and I like your concluding statement, the first and last images are great! I need this advice now as I am sitting down here in front of my computer, I need to straighten up!- I noticed that my neck hurts when I am not in correct posture at times. Anyway thank you for your help in the forum regarding job hunt for me, it make sense specially about people in the community. thumbs up for this hub! any time i need a confidence boost, i just sit down in my chair with good posture. i mean, it instantly revitalizes the body! does anyone know where i can buy products to balance my energy chi chakras? Congratulations on your win. Great hub. Excellent hub, rebekah! I knew posture was important but was not aware of the pregnancy and childbirth aspect. Thanks very much for enlightening all women. thanks kj, it's so easy to do and we're not even thinking about it. then we suddenly discover we're in some terribly bad position over our desks! I know exactly what you mean. the more aware we are, the more we can catch ourselves! emmeline, how exciting for your girls! I'm so thankful my mom signed me up, she just did it because she thought it would be good for me and she was right. I hope your daughters enjoy their class!! Great hub. I'm always slouching at my desk. Thanks for writing! Hello Carole, It is so nice of you to visit HP and happy you have enjoyed the hub article. You can see now why I wanted to use your beautiful image of the little ballerina. It is perfect. Your talent is outstanding and I appreciate so much your permission to use Little Ballerina here in my hub. I have visited your site and your paintings are delightful. p.s. I wanted to let you know there is a contest going on this month with articles about health, with a daily winner, and yesterday this hub won! thanks elayne,debby, and veronica for reading and for the kudos! I am excited this hub won the daily drawing! thank you screation. I think you are so right. I hope more and more people will admire good health and its benefits.. as in survival of the species! Why do we instinctively know when a person has good posture? Simply because our basic instincts are to admire health, as it reflects good genetics for survival of the species! Congrats on your daily win. Now it's time to celebrate! Hey! Congrats on this super hub. Really enjoyed reading this and watching the demonstration videos. Congrats on your hub daily win. It is well deserving of the kudos. Very organized and well presented. Kudos. thanks money! isn't that neck exercise amazing? it immediately helps. I couldn't believe it when I did it. it's nice to have simple techniques that help that we can do anywhere! thanks daisy for stopping by and reading! thank you wordscribe! you bring up a problem many tall people have faced or continue to face. trying to appear less tall, they stoop or slump over. especially young people feel this way. a good reminder to encourage our children to stand tall and be proud of themselves. and yourself also! veronica, that's super that you are noticing the difference! I read somewhere by a fitness instructor that even holding in our stomach helps to increase muscle tone in our abs, so I try to remind myself, even sitting in the car. thanks for reading and leaving a comment! always nice to see you. Your point about good posture helping to prevent sciatica is very helpful. Many people suffer from it and do not realize how much poor posture can aggravate it. Very nice hub, rebekahELLE, and congrats on winning also. This is such a great reminder - and it's true, a strong core really helps. I've noticed since I've been increasing the strength of my stomach, that my posture has improved singnificantly. I've had to work really hard on my posture. I'm very tall at almost 5'11", so when I was young I got "in the habit" of stooping to make myself appear taller. I think I kinda got stuck that way for a while, so I really have to keep reminding myself to stand up tall. I am THE worst in chairs, it's just sad. Anyway, fantastic hub. Hope you're well. Congrats on the win! hey lynda, thanks so much. I see you around hubville and it's great to see your contribution to the community! thanks for reading! What people don't realise is that a good posture needs to be built up from the base up, starting at the feet, then align the ankles, knees, pelvis and everything else above that. Like in any other vertical structure, the base (feet) is the foundation of the body so if the feet ain't right, nothing else will sit right higher up. pretty maita, thanks always for reading and leaving such inspiring comments! our posture is something that can continually keep us aware of our body movements and help us to be more mindful. every women deserves to be self-confident! thank you L for reading and commenting. I hope this hub can help you realize it's not too late to improve your posture. Great hub. I've struggled with good posture ( I blame it on growing too quickly as a teenager) but it's amazing how much it can affect your appearance and your health. thank you pamela for being my first visitor with a comment! This is excellent reminder Rebekah and excellent Hub. Good posture is very important. I often forget it - but example of your peaceful childbirth shows how can combination of exercising and good posture remove even the worst pain of labour - this is incredible. When I practise Hatha Yoga I certainly feel the best. Great hub. I couldn't agree with you more.